320gsm – 65%Polyester, 35%Cotton Fleece. 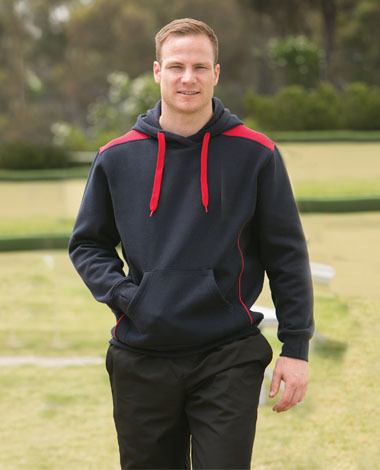 On trend fashion hoodie, with contrast shoulder panels and side piping. Contemporary fashion fit.